Honestly, this movie shcoked me. It was that well-made, has earned it’s hype, and is an excellent example of what a proper team of filmmakers are capable of crafting. It is the definition of awesome, and I am not a fanboy gusher. I have some standards and was prepared to be a critic on this one. I was not expecting much from this movie since I’m a bit tired of the past 12 years of superheroes in theaters, but I gotta say, Joss Whedon has once again directed and written a piece of action movie magic, and a balanced expolration of motivations, conflicts, steadily rising stakes, and genuine humor that never felt invasive. In a world of, really, too many hero movies beginning in ’99 or ’00, this one came very late in the game (2012) and truly proved itself to be among the Best of the genre. But “The Avengers” is not just a good superhero film, it’s an entertaining action-adventure story as well, with great character development, clearly shot and well coreographed action and editing, and stood as THEE kick-off to a summer done right. Not often do the opening acts for the summer movie season carry so much weight. This one earns it. Go see this one at least once in theaters, even if you don’t know anything about the heroes or their previous movies. If you have seen the previous films (Thor, Captain America, Iron Man 1/2, Hulk) you will simply have a deeper appriciation for some of the references and likely look forward to revisiting some of these films. 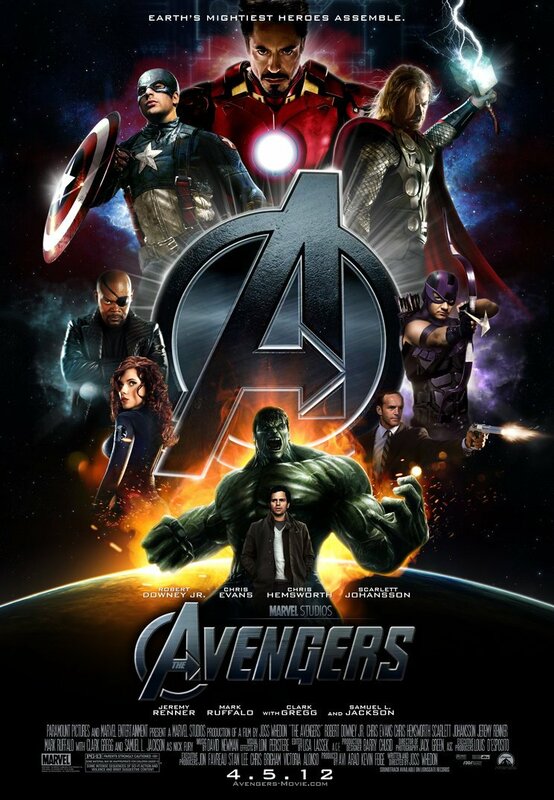 “The Avengers” went above and beyond my expectations and I will be owning this one on DVD/BluRay. Go with friends, get exicted, cheer, laugh, and spread the word. One of the 5 Best Marvel films ever made.